Actually part of the huge eCommerce icon pack from Rocket Theme, which is linked on the Download button below. 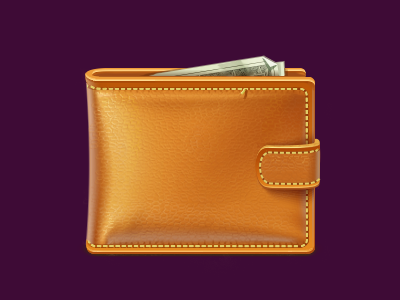 Wallet is a free Icon design resource made by Dribbble user Katya Prokofyeva. As far as I can tell, its license is Creative Commons Attribution-NoDerivs.